Yoga is an extremely important aspect of who I am today and I simply cannot imagine life without it. It all started about 4 years ago when I was looking to add a different exercise into my normal regime of running, weight lifting, and circuit training. From my 1st class, I found yoga to be just as challenging as my other workouts, yet somehow far more enjoyable and even peaceful. After leaving that 1st class, I knew yoga was going to be a regular practice for me; I just didn’t know to what level at the time. To be completely honest, my reasons for going to a yoga class in the 1st place were vain. At that time in my life, I struggled with a lot insecurities when it came to my physical appearance. And at that time, I was not healthy: I was underrating, over-exercising, and not being kind to myself emotionally. I was drawn to yoga because the people I had met that practiced yoga were in amazing physical shape and they seemed to exude confidence. I wanted to look like those male yogis and I wanted to stand tall and confident like they did. So, I came to my mat out of a desire for better physical fitness, but I continued to comeback to my mat because of just how much I began to learn about myself and see myself and the world through new eyes. 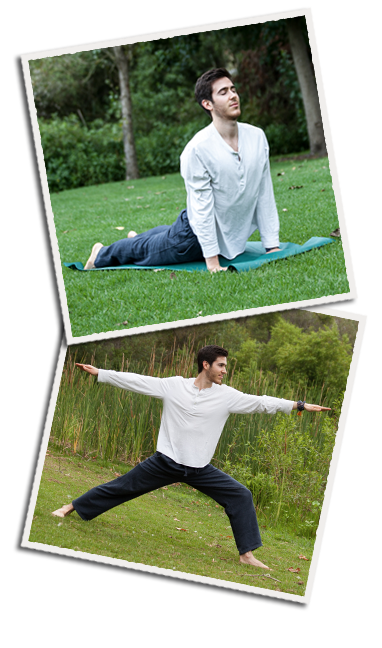 You see, yoga is not just a physical workout; it is an emotional and mental practice as well. It can even be a spiritual practice should you choose to take it there. In the yoga classes I was taking, and still take, at CorePower Yoga in Huntington Beach and Costa Mesa, CA, the teachers wove themes into their classes about self-kindness and self-care, acceptance of one’s self and the world around you, gratitude, and much more. After each class, I found that I left physically stronger and emotionally more enlightened. I simply loved it. I went from practicing twice a week, to three times a week, and then finally, I axed all my other workouts and went to yoga six to seven days a week. I was completely hooked. The concepts I was learning on my mat in those yoga classes began to bleed into many other aspects of my life; the way I dealt with stress and anger, how I looked at and treated others, and how I looked at and treated myself. As I began to look at myself with kinder eyes, understand myself, and truly love and care for myself; I began to heal. As the days went on and I grew deeper in my practice on and off the mat, many of the insecurities that haunted me began to dissipate and I grew into a much happier person. In just a couple years, yoga had completely changed my life on all levels: physically, mentally, emotionally, and spiritually. In the summer of 2013, I decided to take the next step in my yogic journey and become a certified power vinyasa yoga instructor. I went through the Teacher Training Program at CorePower Yoga in Huntington Beach where I had one of the best times of my life and made a group of lifelong friends. In August of 2013, I graduated the program with my 200 Hour Certification, and I began teaching classes at CorePower Yoga shortly thereafter. I now currently teach at both CorePower Yoga’s Huntington Beach and Costa Mesa Studios, instructing mostly heated vinyasa power classes. See my “Teaching Schedule” to see if you can make it to 1 of my classes! So, obviously you see that yoga is a huge part of my life, and it will be reflected in this blog in a number of different ways. I do want to stress that while I am an active yoga instructor, I am no “guru” or anything like that. In yoga, we are always first and foremost: students. Only after seeing yourself as a student with constant room for evolvement in your practice, can you be a teacher. Rather, I am explorer of yoga which has been a wonder in my life. And I am excited to share what I know and continue to learn with you!